THE BRITISH Lionhearts maintained their good run of form in this season’s World Series of Boxing (WSB) with a comprehensive 4-1 win over Italia Thunder last night (Friday 16 March) in Milan. Wins for Will Cawley, Dzmitry Asanau, Joe Ward and Frazer Clarke, on his return from nine months out with injury, steered the Lionhearts to victory. A defeat for Cyrus Pattinson, who was stopped in the third round by Mirko Natalizi, was the Lionheart’s sole reverse as they completed the season double over the Italians. Next-up the British team face the Croatian Knights before a showdown with the France Fighting Roosters in Newport on Friday 14 April 2018 to decide who finishes the regular season as winner of the European Group. Tickets for the match at The Newport Centre are on sale now at www.gbboxing.org.uk/tickets. 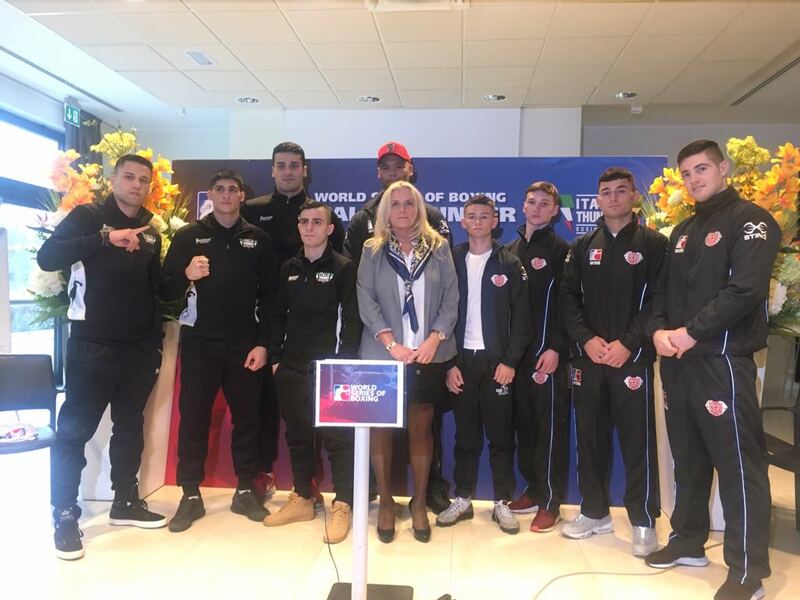 WSB is a global team boxing competition developed by the International Boxing Association (AIBA), made-up of 11 teams who compete in a league format in three regional groups. It bridges the gap between Olympic and professional boxing and participants compete without vests or headguards over five three-minute rounds using the 10-point-must scoring system. Each match is made-up of five bouts and a team that wins three or more gets the win.